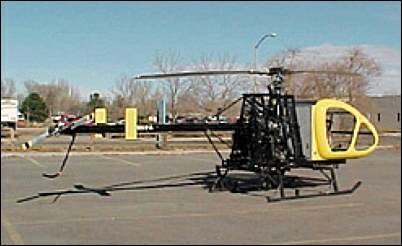 HI would you be able to send me more information on this helicopter both on used and new and their selling prices. The Pawnee Aviation Chief that Don refers to above was not the craft in the picture. The Chief design and production equipment is in McCook NE, and up for sale in an online foreclosure auction. Equipment is online at bigiron.com keywords Pawnee or helicopter. price guide for this ultralight copter. The video download does work!! Just wait as its a very old clip in AVI the must fully download before playing the poor quality 15 sec clip. There NO plans for this one just a kit and at a huge price that makes a JetExec or a Lambo look cheap. The reason the show no price anywhere. I guess he must be doing business now as he was selling the whole company only a few years back, when I was looking and got my JetExec. Was wondering why the video link is no longer downloading. I'm very interested in seeing this Rotorcraft in the air.